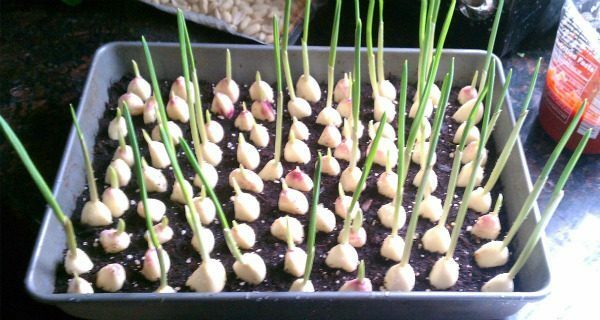 Time to break down the benefits you can receive from consuming garlic, and to show you a really easy way to grow your own supply right at home. Garlic is jam packed with vitamins and one has only around 42 calories. It’s rich in manganese, vitamin B6, Vitamin C, selenium, calcium, and potassium. That’s just naming a few. Garlic is super good for you but not only that. Ingesting garlic often can reduce your risk of heart disease substantially. As well as help your body process cholesterol efficiently and lower blood pressure.